Match Game is coming back for a 4th season in 2019 and casting calls are out for folks nationwide who would love to appear on the show. The primetime game show is hosted by Golden Globe and Emmy Award-winning actor Alec Baldwin. The show’s 3rd season premiered some months back on ABC and features contestants playing a fill-in-the blank type game in which they try to match the answers of 6 celebrities in the panel. 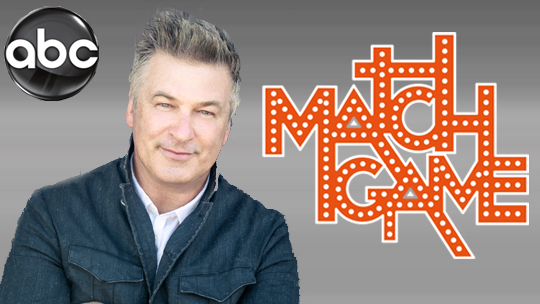 Now accepting submissions for “MATCH GAME,” hosted by Alec Baldwin! “Match Game” features contestants trying to come up with answers to fill-in-the-blank questions, with the object being to match answers given by celebrity panelists. This game show calls for a certain type of humor. You should be outgoing and witty. We are excited to consider you as a contestant and wish you luck in the casting process. The more info you can give us, the better we can get to know you! Ready to get on the show? Read on! *YOU MUST BE AT LEAST 21 YEARS OF AGE AND A LEGAL RESIDENT OF THE UNITED STATES TO APPLY. Other eligibility requirements apply and contestants can check out all those requirements when they apply. Other popular game shows are also casting right now. See the game shows casting section for information on other shows you can tryout for. I have been watching TV game shows for many years and love being on TV and winning or just being a fun contestant! I would be the best contestant and will have hundreds follow me on my journey!